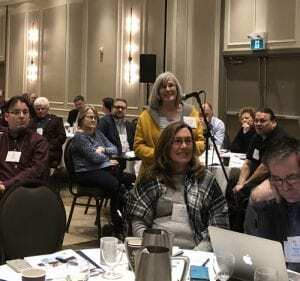 On January 18, over 230 Catholic trustees and directors of education gathered in Toronto for the annual Catholic Trustees Seminar. 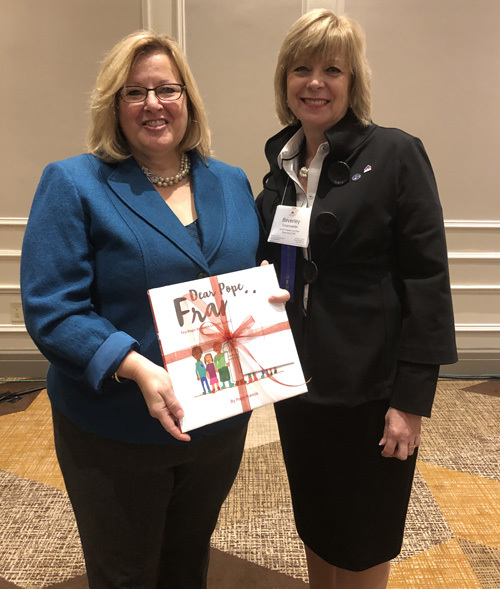 The theme for this year’s seminar was “Embracing the Call to Serve” and helping to set the tone for this Seminar was Laura Hughes, Director for the French provincial body for Catholic education (Office provincial de l’education de la foi catholique de l’Ontario). Building on the insights gained through the recent Symposium on Catholic Education and drawing on Catholic faith traditions and practice, Laura Hughes encouraged local discussions at tables that served as opportunities for reflection on how trustees can bring their personal and collective gifts to the task of Catholic school board governance and service to the community. Leading author on Catholic education in Ontario and Professor and former Principal of St. Michael’s College, University of Toronto – Dr. Mark McGowan discussed the history of Catholic eductaion as part of the Trustee Module on Catholic Education Foundations that is part of OCSTA’s trustee development program. Mark is the author of many books on Canadian Catholic History and he provided many humorous anecdotes about the establishment of Catholic education in cities, towns and rural districts across Ontario. His encyclopedic knowledge of this history impressed trustees at the conference. 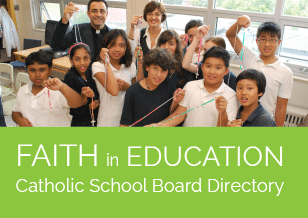 Mark has served as a trustee himself ( Durham Catholic) and focused on the leadership and creativity of past trustees to establish and expand Catholic schools across Ontario. He compared their struggles in the past for Catholic education to provide us with important lessons to be successful in our contemporary challenges. Whether one focused on the challenges to protect Catholic education during Confederation, to its challenge to win the Tiny Township Case in the 1920’s for full funding, up to the 1980’s fight for completion of funding, he noted our success was due to the collaboration of our entire Catholic community to ensure success. 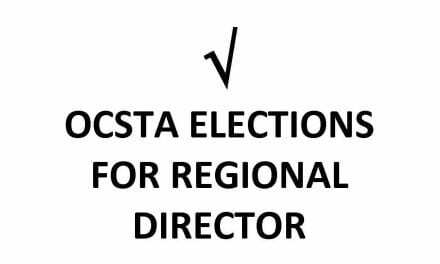 The presentation by Dr. McGowan also provided a credit for one lesson in the Series A and B program of the Trustee Learning Program of OCSTA. Dr. McGowan will also be the instructor in the OCSTA/ University of St. Michael’s College course . OCSTA would also like to extend thanks to Dr. David Sylvester, President of the University of St. Michael’s College for his strong support for this course with OCSTA. Minister of Education, the Hon. Lisa Thompson discussed the government’s concentrated effort on working in consultation and more collaborativly with stakeholders in education. To view and download plenary and workshop presentations and listen to the recordings of keynote presenters please click here . Immaculata High School (Ottawa Catholic School Board) was voted the best “Community Builder” video at the secondary level. 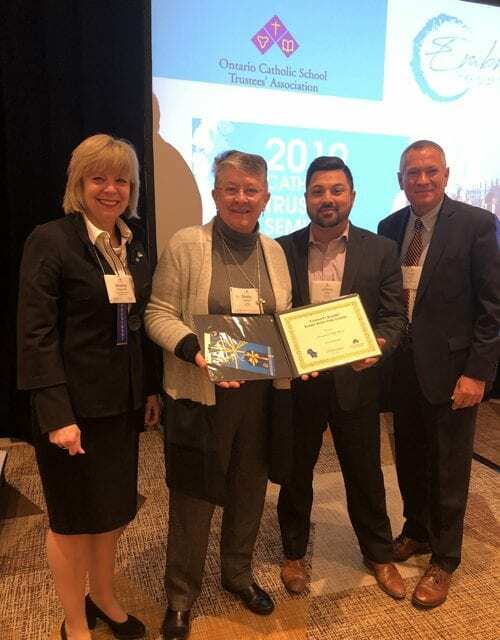 OCSTA Conference Chair, Todd Lalonde (far right) and OCSTA President, Bev Eckensweiler present the award to representatives from the Ottawa Catholic School Board. This annual contest for students in the province’s Catholic schools is an opportunity to celebrate the distinctive faith-based perspective of Catholic education through the lived experiences of students as interpreted in these lively short-video productions. 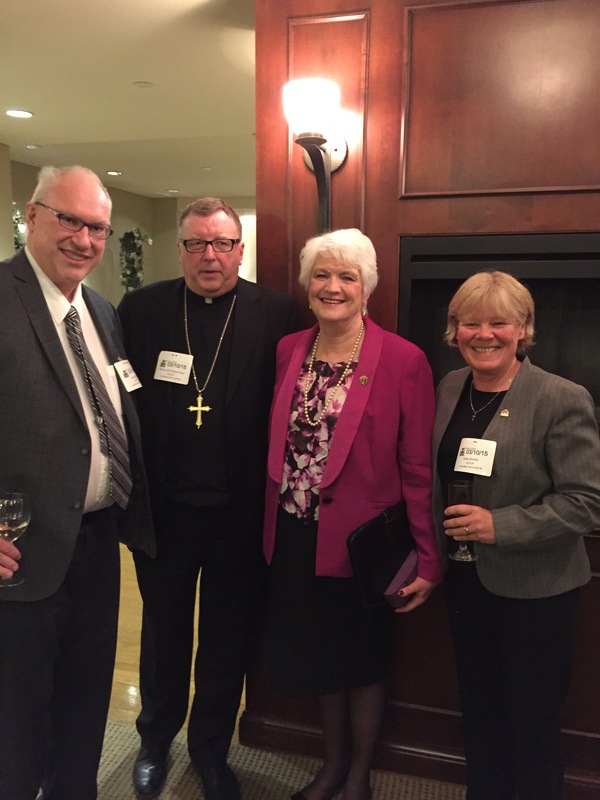 The 2018 short-video contest theme was “Community Builders” and on January 18, during the OCSTA Catholic Trustees Seminar, the winners were announced to a provincial audience. OCSTA was pleased to host a Pre-seminar session for First Nation Trustees and OCSTA Directors on January 18 featuring presentations by Fr. Pierre Bisson and Sr. Priscilla Solomon. 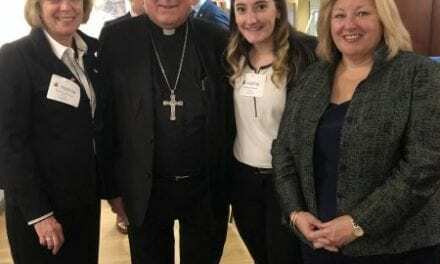 Both speakers are both members of our Lady of Guadalupe Circle, a group of lay and Catholic clergy who advise the Canadian Catholic Bishops on Reconciliation and Indigenous Issues. The presentations delivered emphasized the need to address the challenges of cultural assimilation that led to the Residential schools and government policies intended to eliminate Indigenous language and culture. The way forward is to learn from those destructive actions and to concenrate on treating both cultures equally and respectfully. During the presentation speakers highlighted the Catholic Response to the Truth & Reconciliation Commission where the Bishops rejected “Terra Nullius” and the “Doctrine of Discovery” — two arguments used earlier by Europeans and the Church to justify the taking of Indigenous land. The Bishops also outlined in “Walking Forward Together”, a set of principles to guide towards stronger faith and cultural closeness between the two societies. The Association would like to take this opportunity to welcome our newest First Nation’s Trustee, Debbie Mayer from the Mississauga First Nations of Blind River, Ontario.